USB 2.0 cables provide transfer rates up to 480Mbps, and easily attach to any USB device. 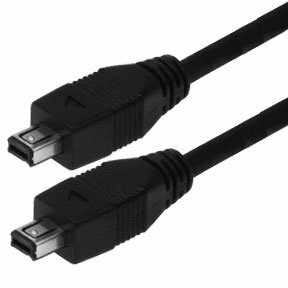 A to Mini 4pin cables are used to connect from your USB port on Hub, PC or Mac to your small device such as digital camera, DVR, or PDA. USB 2.0 Printer Auto Sharing Switch enables two PCs and/ or Macs to easily share one USB device such as a printer scanner or hard drive. No more plugging and unplugging between your computers. You can easily request print job on screen. No need to change cable or turn switch on the switch box. You can switch on screen. USB A to Mini USB 4 pin cables are used to connect PC to mobile devices such as phones, mp3 players, cameras, etc. You can choose from a wide range of Mini USB 2.0 4-pin cables at SF Cable aligning to your requirements. We have USB 2.0 mini USB cable A male /mini 4 pin male cables in different lengths, USB 2.0 version VCR camera cable, USB 2.0 mini B 4-pin M/M cables in different lengths, USB 2.0 A Male to mini 4-pin Male cables in different lengths and other products in this category.